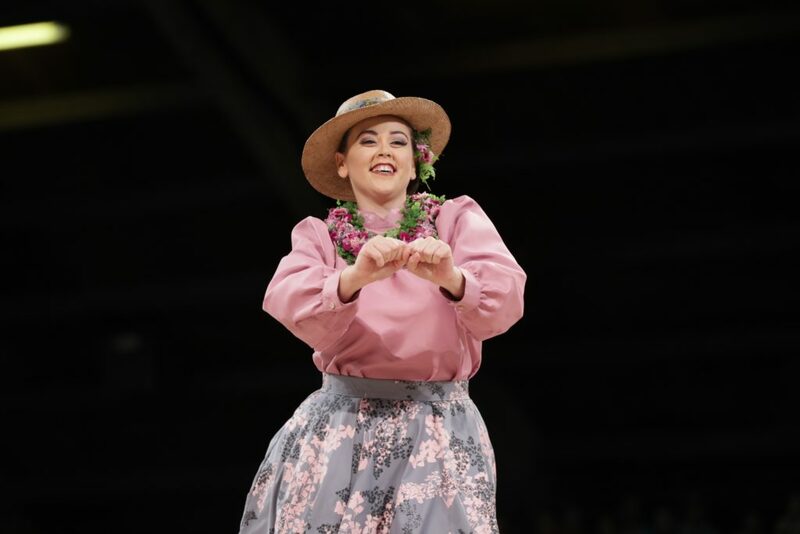 Twelve beautiful wahine hula dancers took the stage at Edith Kanakaʻole Stadium on Thursday, April 5, 2018, in the hopes of grasping one of hula’s most significant award—the title of Miss Aloha Hula. 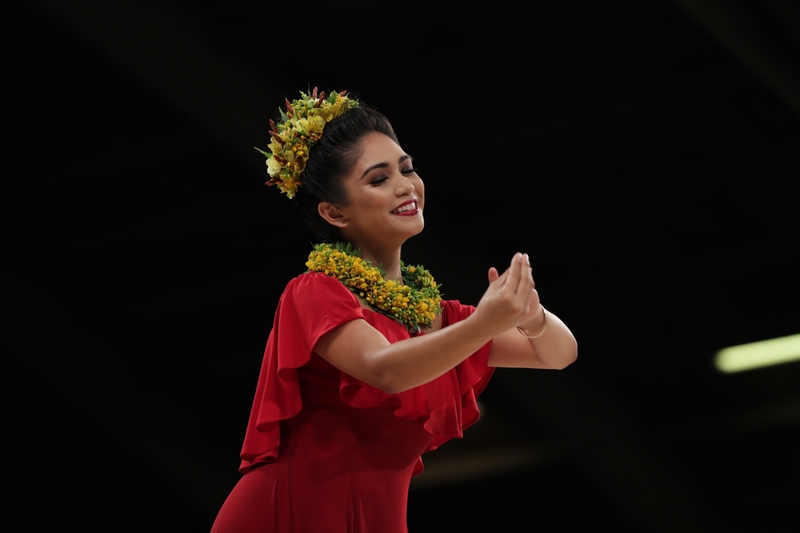 The contestants performiedhula kahiko, hula ʻauana and oli (chant) at the 55th Annual Merrie Monarch Festival’s first competition night. 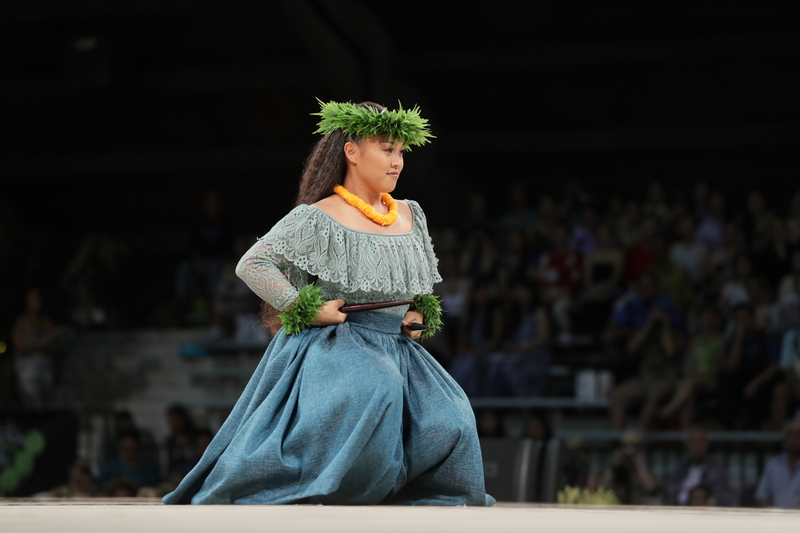 The performances left the crowd in awe—and the judges with the difficult task of deciding who would take home the title. Each contestant performed two dances. 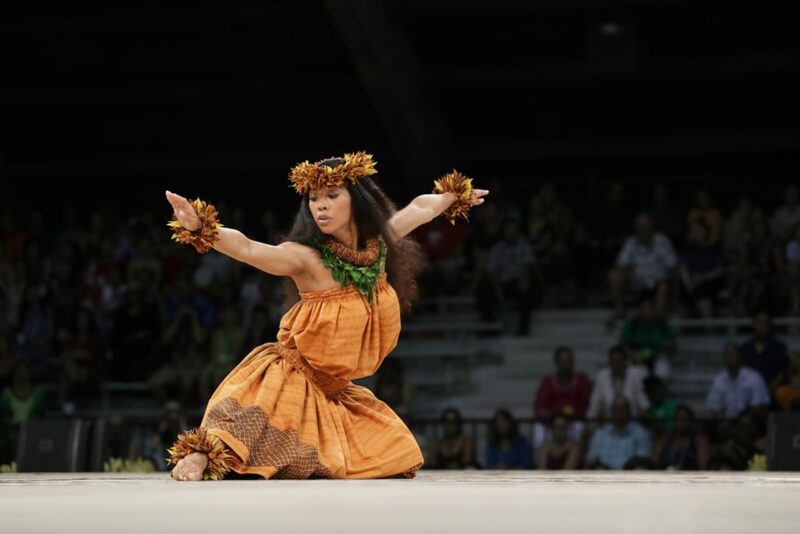 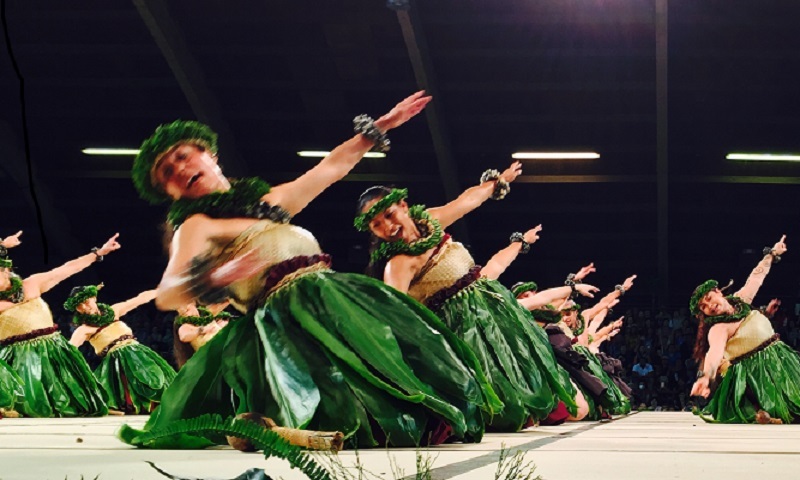 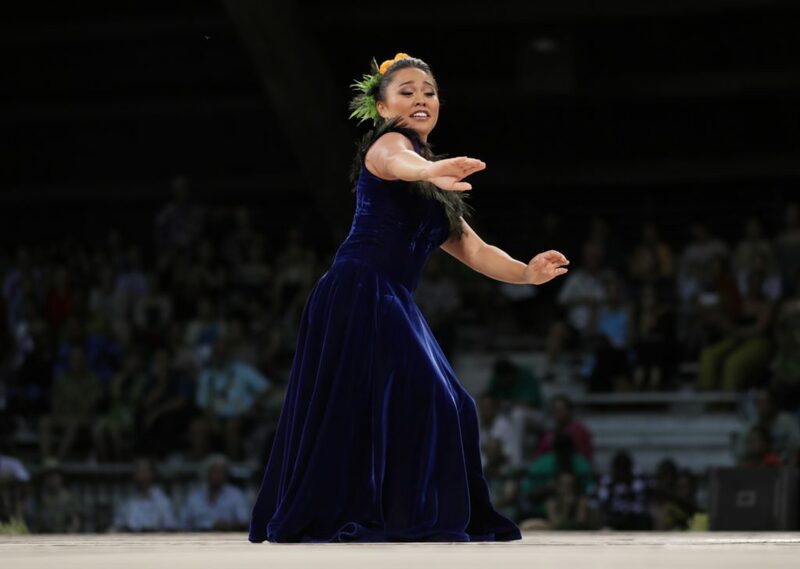 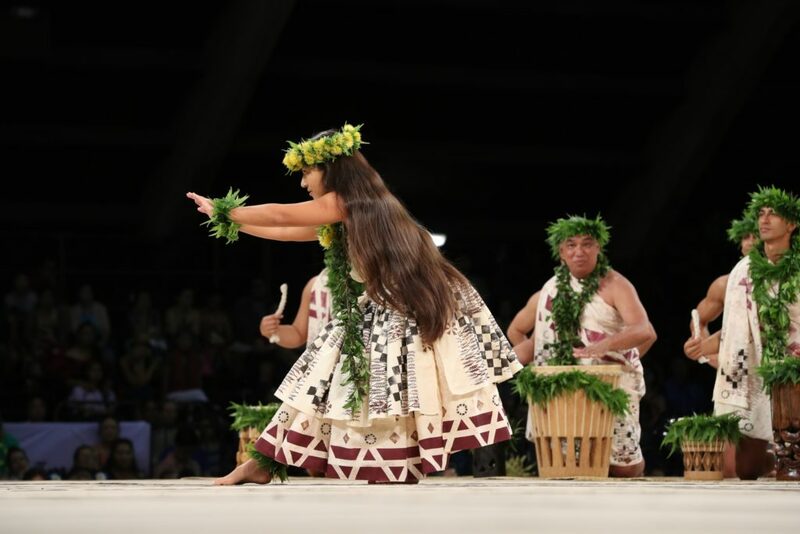 In their first performance on stage they each performed a kahiko, ancient hula. 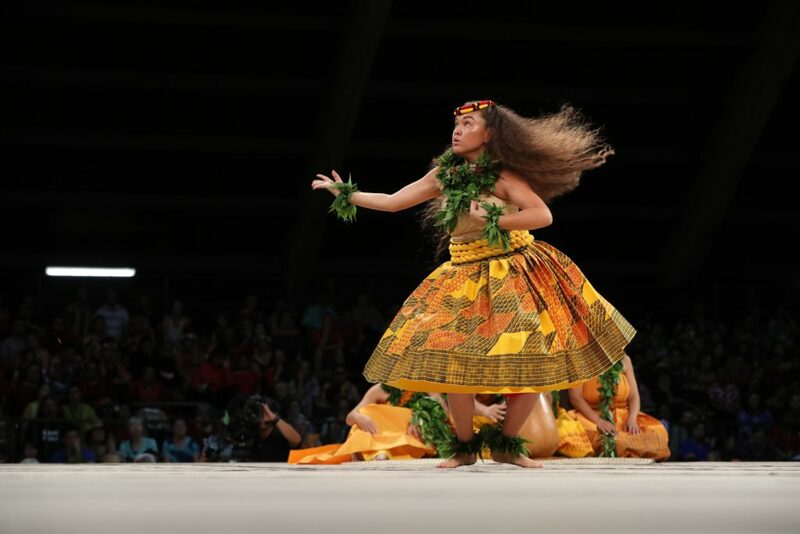 After a short intermission they again each took the stage and presented their auana, modern hula. 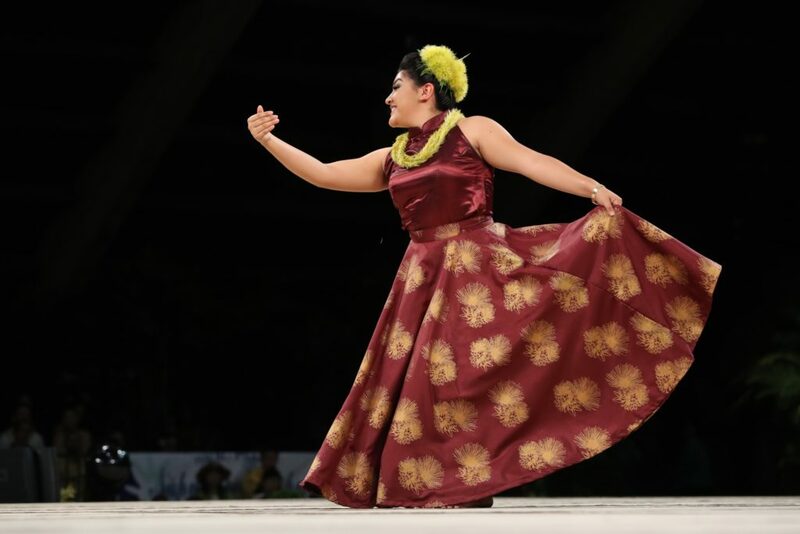 Capturing the title this year with a score of 1,130 points is Maui’s 21-year- old Shalia Kapuau‘ionalani Kikuyo Kamakaokalani from Halau Na Lei Kaumaka O Uka under the direction of kumu hula Napua Grieg. 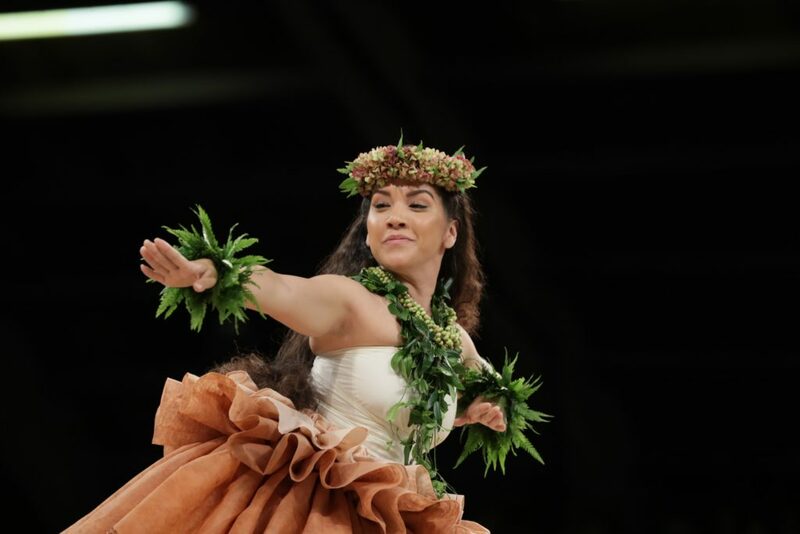 For her kahiko number, Kamakaokalani danced Lei No Kapi‘olani, which is a traditional lei chant that speaks of Princess Kapi‘olani’s journey to Maui. 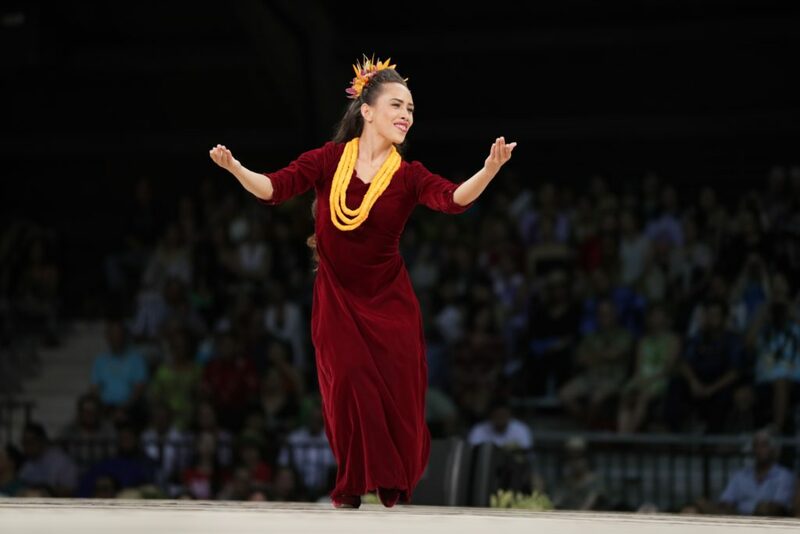 Performed partially seated using kala‘au or percussion sticks, this hula is known as a hula noho kala‘au. 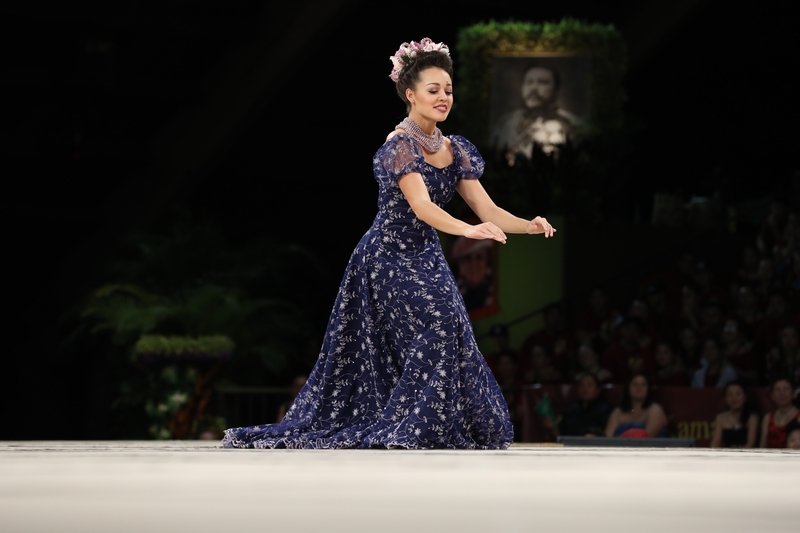 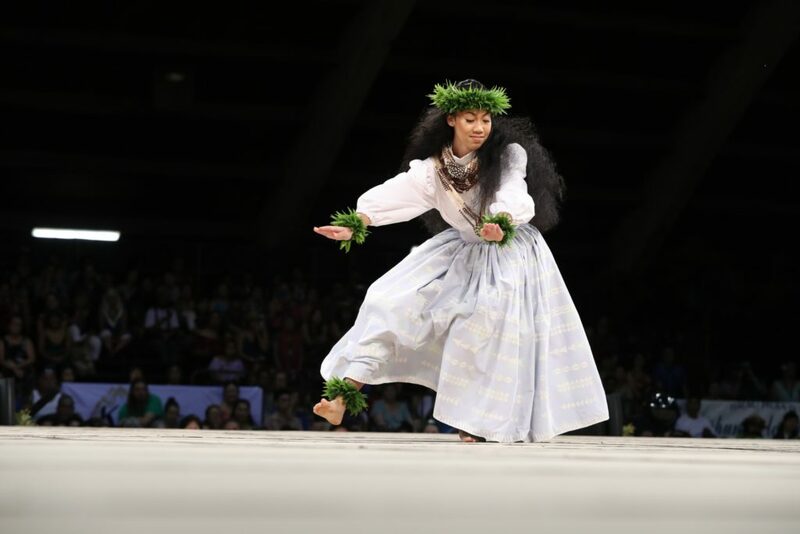 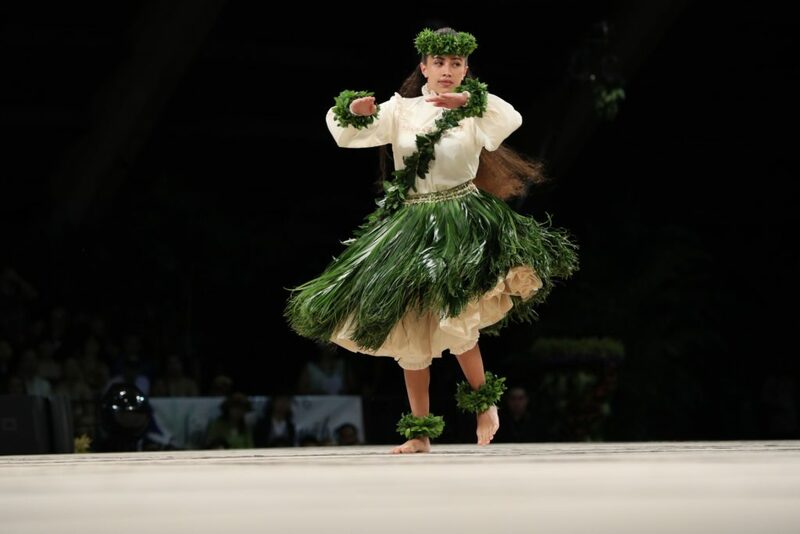 For her modern hula or hula ‘auana, she danced to the Ka‘iulani, a song that praises princess Ka‘iulani and how she adroitly piloted both the Hawaiian and Western cultures in her life. 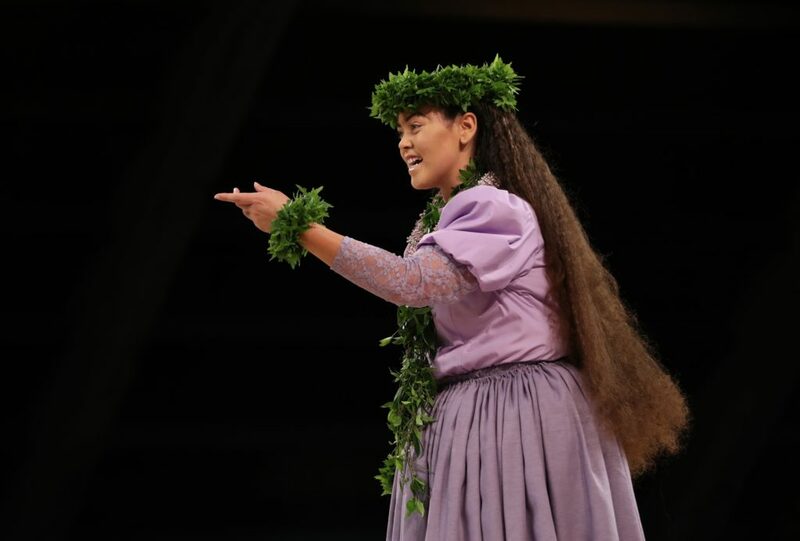 First runner-up, with a score of 1,125—just 5 points less than Kamakaokalani—was Ecstasy Jetta Laverne Kamakalikolehua Ligon of Ka La ‘Onohi Mai O Ha‘eha‘e. 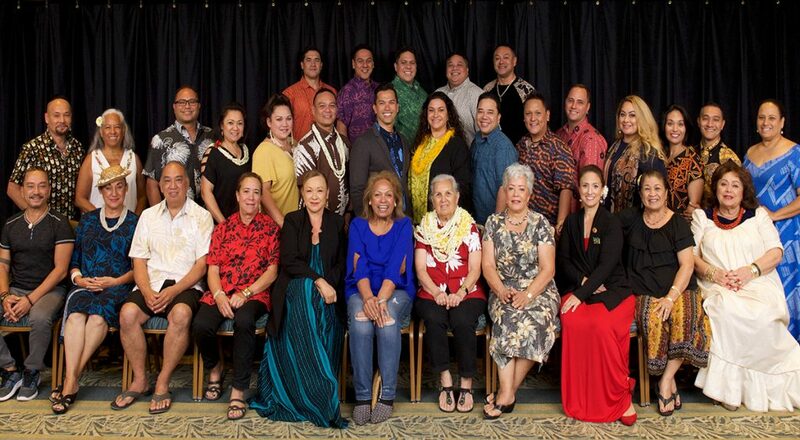 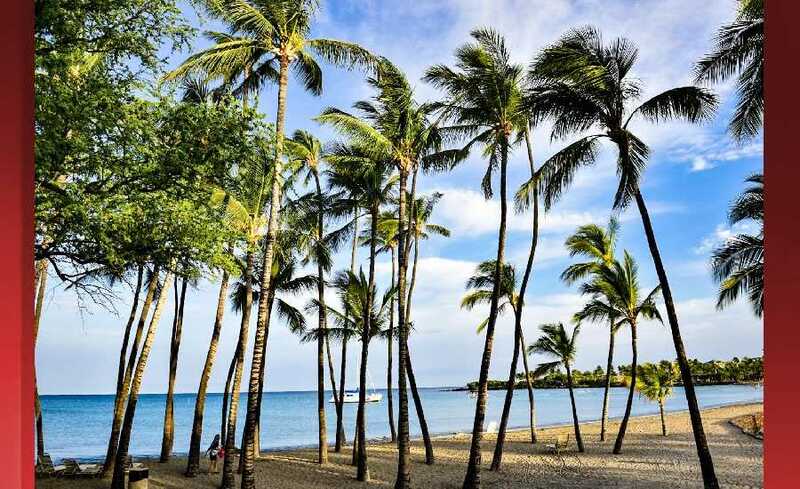 In a tie-breaker, Ligon beat Kamakaokalani to win the Hawaiian language award. 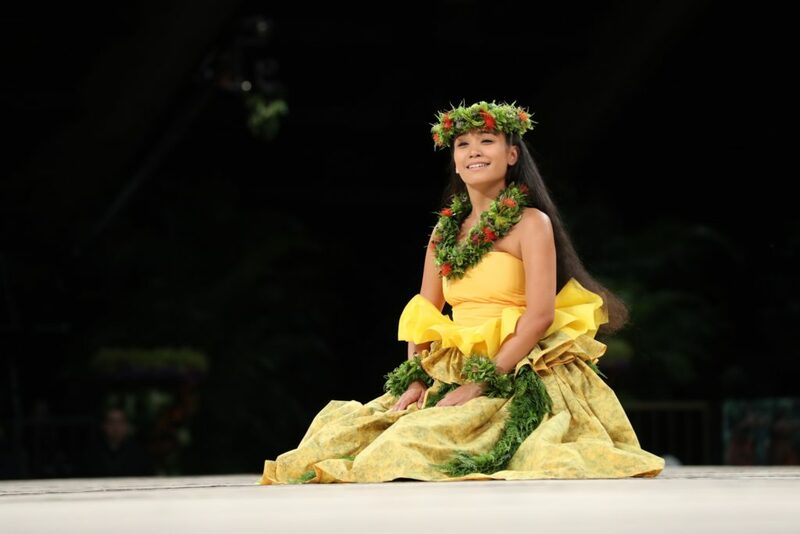 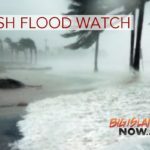 With 1,096 points, Hawai’i Islands Asialynn Genoa Kalihilihi‘ulaonalehua‘ohopoe Yap of Kohala’s Halau Manaola under the direction of her mother kumu hula Nani Lim Yap took the third runner-up spot. Scoring 1,088 points to win the fourth runner-up spot was Maile Yurika Garrett, who dances for O‘ahu’s Kawaili‘ula under the direction of kumu hula Chinky Mahoe. The two other Hawai‘i island dancers were Alana Maureen Ka‘ano‘anookalani Paiva of Hilo’s Halau O Ka Ua Kani Lehua, and Kumu Hula Johnny Lum Ho and Joelle Nohealani Kalima of Hula Halau O Kou Lima Nani E under the direction of Kumu Hula Iwalani Kalima. 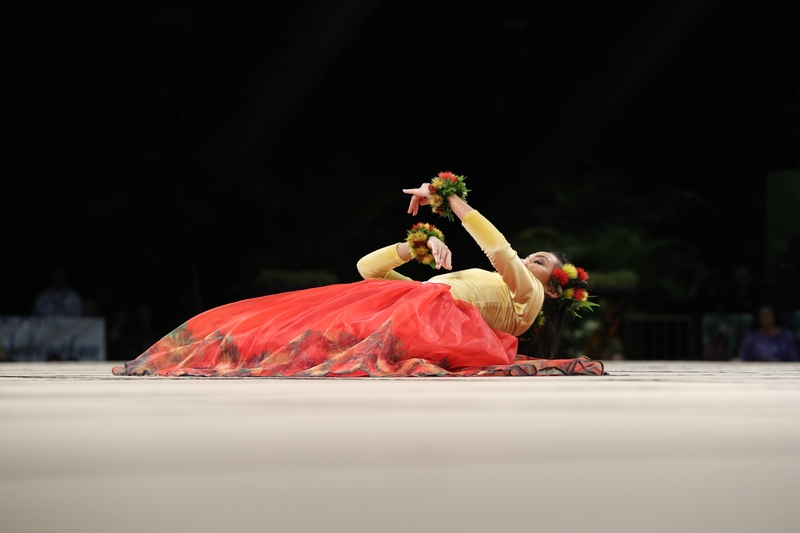 Although they did not place, the dancers were lovingly welcomed by the audience. 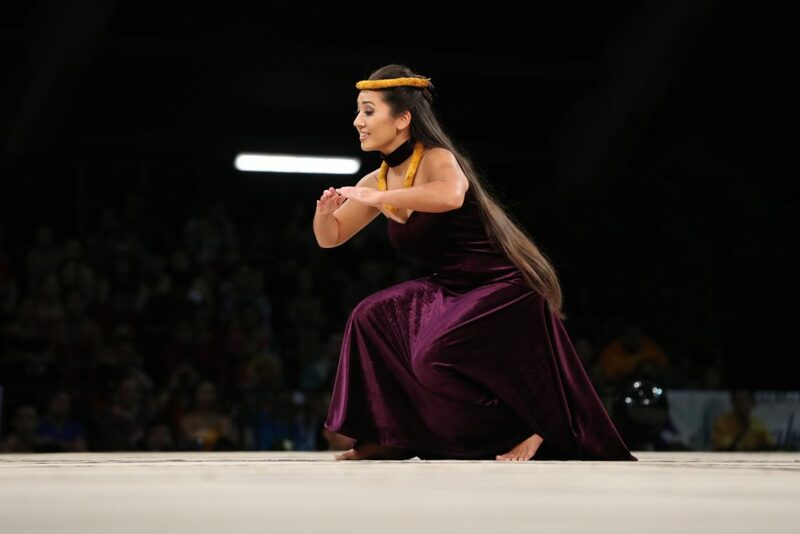 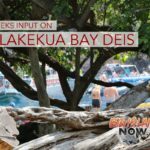 The festival continues 6 p.m. Friday night, April 6, with the group kahiko competition at the Edith Kanaka‘ole Multi-Purpose Stadium.